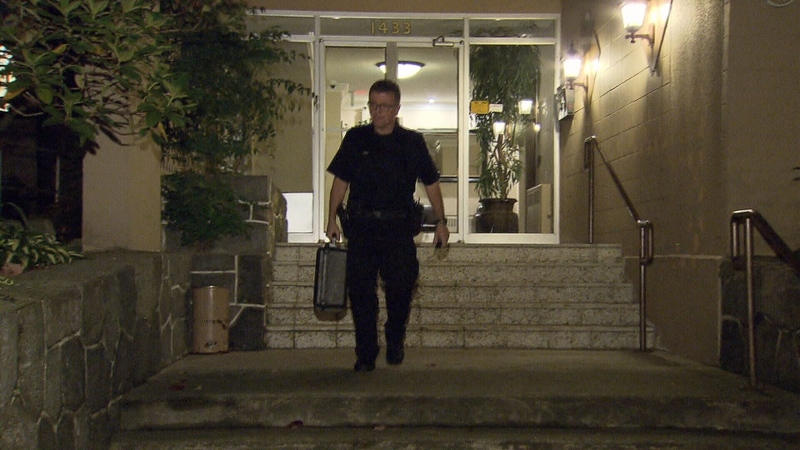 Three people were arrested during a drug raid at a Vancouver apartment building Wednesday night, including a 74-year-old woman. Police took the suspects into custody after surrounding the Sunset Court building on Harwood Street in the city’s West End neighbourhood. Witnesses told CTV News police spent several hours at the scene, and at one point were not allowing any residents to enter or exit the building. Plainclothes officers were later seen carrying a number of boxes out of the property. Authorities said the bust was the culmination of a five-month-long investigation by the Vancouver Police Department's Organized Crime Section. All three suspects, who included two men, ages 41 and 68, are facing potential drug-related charges, according to police. Their names haven’t been released. Police execute a drug raid at an apartment building in the West End on Oct. 10, 2018.